The last time I had the pleasure of seeing a Steve Roach live show was late in 1996 in Sacramento. Steve's continuous two-hour long set was one of his finest moments for me; the finale of the show, a fade out of chord washes and drones, was one of the best pieces of music I had ever heard from him (I hope to see the “Sacramento Finale” on CD someday!). 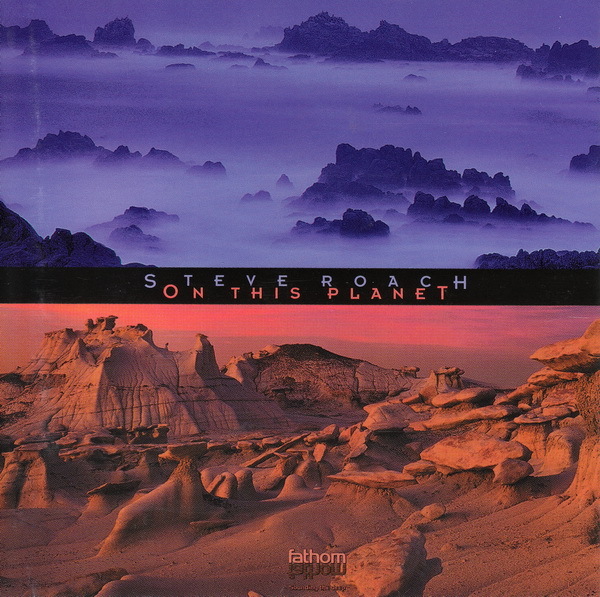 On This Planet is “The Steve Roach Live experience! [A] Studio recording inspired by on- the-edge concert explorations.” It is certainly a different way of going about a live album, but rest assured, this release captures in essence the show that I saw and other live experiences from around the same time. In the tradition of Origins and Artifacts, this album is mainly in his more percussive / tribal direction with lots of didgeridoo and drum rhythms, but there are also some more ambient moments, dark droning synths with much resonance. Not to mention, some equipment changes produce some interesting analog-like tones which strangely remind me of Schulze around his Picture Music days. Steve also uses, to great effect, human voices, an effect similar to some early 80s Tangerine Dream, but much, much more impressive, and quite psychedelic. Unfortunately, the CD doesn't give you enough of Roach's finely handled segues, part of what made the live experience so incredible, but here's a man who recognizes and surpasses his limitations. He has done so here.